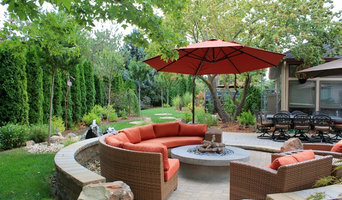 Established in 1972 and locally owned, Sterling Landscape Company has built a reputation as one of the finest landscape design and construction companies in Southwest Idaho. In 2015, long-time team members Lavon Webb and Dan King bought the company with a strategy to move the business forward and continue their commitment to excellence. We are proud to be Boise and Meridian's Premier Sprinkler Service and Landscape Contractor. We provide top-notch planning, installation, repair, and maintenance of sprinkler systems and landscapes for Boise and Meridian area customers. Whether you’re in the market for an affordable backyard sprinkler system or planning a complete landscape for a large development with complicated needs, Aldape Sprinkler Service, Landscape & More can help. We also offer regular sprinkler maintenance and water management programs which can be individually tailored to suit your needs. Our maintenance is available with weekly, biweekly or one-time only arrangements. Modern Landscape & Concrete Design is a full-service landscaping and design company, specializing in residential and commercial landscape design. We design and install landscapes, including outdoor kitchens, irrigation, erosion control, fireplaces, and patios! Since 2004, we have completed thousands of jobs in the Boise area and beyond. Our commitment is to providing the best possible service. We are dedicated to our clients, and we take pride in our work. 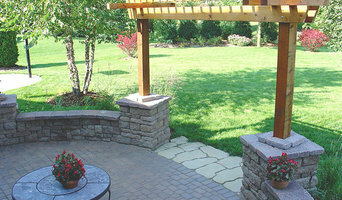 New Life Landscape provides Landscape design and construction. 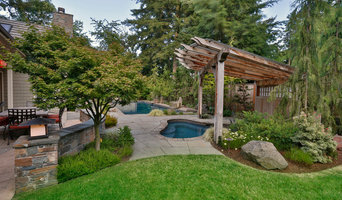 We are a growing company that specializes in landscape remodel and new construction landscape planning and execution. We pride ourselves on excellent customer service and it is our goal to exceed the expectations of each of our customers. EVERYTHING OUTDOORS LLC-LANDSCAPE & SPRINKLER CO.
Boden Haus Landcape, Inc. specializes in custom design and construction of outdoor spaces. Our mission is to create sustainable landscapes through custom planning and implementation for each client, while carving a niche in the local landscape industry with exceptional craftsmanship, and quality of service delivered to every client. 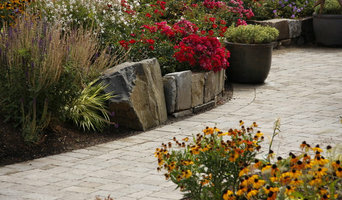 TLC Landscape provides sustainable landscape design, complete installation and comprehensive maintenance services. Our extensive portfolio shows the diversity of our work, and we specialize in creating custom landscapes with you in mind. Since our inception in 2000, our aspiration has been to work in collaboration with our clients to create beautiful and functional landscapes. We are a full-service landscape design, landscape construction, and landscape maintenance company in Boise specializing in custom residential landscapes in Boise, Eagle, Meridian and surrounding communities. An innovative company staying up-to-date with industry advancements, TLC Landscape delivers an integrated vision of craftsman quality, meticulous detail, artistic design, and unparalleled customer service. Our responsive and knowledgeable staff is dedicated to providing our clients with customized, personable service and attention to every detail. From weekly maintenance to small projects to complete renovations, we are building relationships one landscape at a time, and providing the TLC your landscape deserves. The three keys to the long term success of your landscape are the quality of products used, proper installation and having an effective maintenance plan in place. We stand behind our work with a three year warranty on all sprinkler work, drainage projects and hardscape installations, and offer a 12 month warranty on all plant material used in our planting projects. As a friendly group of professionals, we strive to exceed our clients’ expectations. Please take a moment to browse our portfolio and to learn more about what TLC Landscape can do for you. Chavco Tree & Landscape Services, Inc.
Family owned and operated since 1991, Chavco Tree and Landscape Services Inc. started with the intentions of raising the standards and quality of practices within our industry. Our goal is to create long standing relationships with our clients based on trust, education, and mutual decision making. Every consultation given is performed by an ISA Certified Arborist and Certified Tree Risk Assessor, insuring that all management and risk factors are observed on your property. Our clients concerns are always first priority and our gratitude is demonstrated by promptly returning phone calls, showing up when scheduled, and conducting ourselves in a professional manner. We strive to continually educate our employees on the most comprehensive and modern arboriculture practices and equipment to insure safe working conditions and to preserve your landscapes and property. We pride ourselves in customer service, safe operating procedures, well-trained, uniformed employees, and top-of-the-line equipment We thank you for visiting our website and we look forward to becoming your professional tree and landscape management providers. ECOLux is the certified dealer and installer of SYNLawn and Progreen International synthetic turf products throughout Idaho. Franz Witte Landscape Contracting Inc.
At Franz Witte, we are a group of unparalleled professionals working together to bring you quality products and services for all of your outdoor needs. We truly enjoy what we do every day and it shows in the work we do. We develop designs that stand the test of time, maintain construction quality unequaled in our industry, and provide our customers with something truly special. A to Z Sprinklers & Landscape, Inc.
A to Z Sprinklers and Landscape, Inc. is a full service irrigation and landscape contractor, located in Boise, Idaho. A to Z Sprinklers and Landscape, Inc. has been proudly serving the Treasure Valley and surrounding areas for over 25 years. Whether your project is commercial or residential, we are the right contractor for you. We specialize in new construction as well as renovations of existing irrigation systems and landscapes. Our experienced staff of Boise landscapers know that a beautiful landscape is the result of an efficient irrigation system. We work with our customers to build an irrigation system which is efficient, worry free, and saves money. Our service technicians troubleshoot existing systems and provide the right solutions. A precise sprinkler system properly installed, is critical to a healthy, vibrant landscape. Art of The Earth is a family owned and operated landscaping company that has been serving Boise, Idaho and the Treasure Valley for the last 16 years. 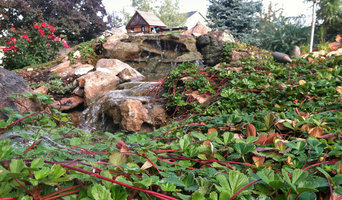 We specialize in custom landscaping, renovation, and water features. Our unique designs provide innovation and creativity while adhering to your budget and vision. Art of The Earth’s professional, insured, visionary landscaping services include free estimates and a one-year warranty on all work and materials. We have the experience and are committed to providing quality workmanship and superior customer service on all of our applications. At Art of the Earth, we are present on each job from the initial meeting through completion, we strive to maintain our reputation as a high quality, service oriented company with our main focus being customer satisfaction. We are passionate with our designs, creating a one of a kind landscape that customers are happy with year after year. Servicing the Treasure Valley, Magic Valley, & McCall / Cascade area. Perfect Earth Landscaping & Design specializes in the design and installation of all your landscape needs. Perfect Earth Landscaping, a Boise area based landscape design and installation contractor, specializes in the residential and light commercial market. Our services range from repairing or redesigning an existing yard, installing landscapes for new homes, adding sprinklers, patios/decks, building fences or weekly maintenance on your existing landscape. We have the experienced personnel ready to help. Why should I hire a Boise, ID gardener or landscaper? Even if you do have a few green fingers yourself, gardeners in Boise, ID will have the experience and training to carry out larger landscaping projects and will have the eye for what works best where and when in your garden. They may work with a landscape designer or architect who will put together the plans that they then execute, or they may do this work themselves. If you’re looking for a Boise, ID landscape architect, or perhaps you want to select your own garden supplies yourself, then you can find the right professionals for this on Houzz, too. Here are some related professionals and vendors to complement the work of landscape contractors: Landscape Architects & Garden Designers, Garden & Landscape Supplies, Stone, Paving & Concrete, Tree Services. Once the plants have been chosen, planted or potted, and the lawn or patio laid, then your garden will be ready to enjoy, but never completely finished. Like all living things, your garden will grow and change with time and the seasons, so it will need a bit of TLC and garden maintenance from time to time. This is when you may want to hire Boise, ID gardeners again, especially if you have a very large garden or landscaped area that needs constant upkeep. Hire Boise, ID gardeners to water, weed and prune your plants, keep the lawn trim and green, and cut back any over growing trees. Some Boise gardeners may source their own garden supplies, while with others you may have to do this yourself. Find landscapers or gardeners on Houzz. Narrow your search in the Professionals section of the website to Boise, ID gardeners and landscape contractors. You can also look through photos of Boise, ID landscapes and gardens to find one you like, then contact the Boise, ID gardener who worked on it.